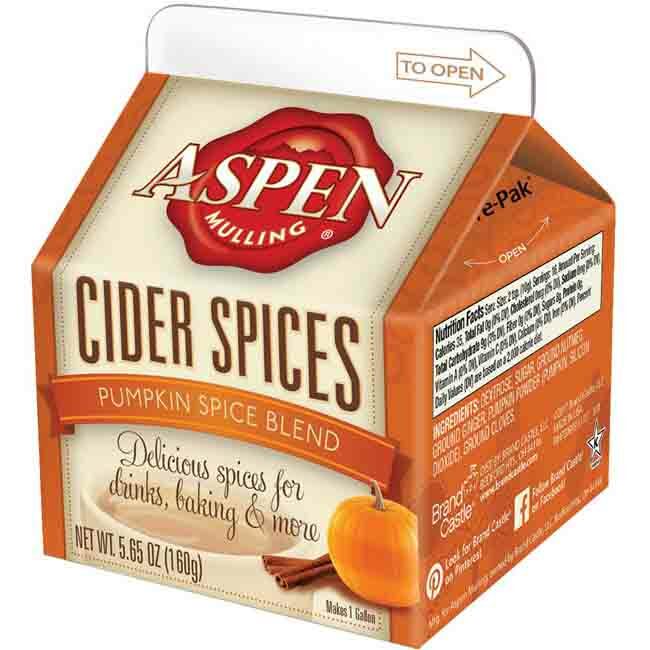 Brand: Aspen Mulling Company BRC-20049 Units: 5.65 oz. carton Mix entire carton with one gallon of apple cider, unsweetened tea, or juice. Or, mix carton with 1.5 liters of red wine. Mulling spices can also be added to baked goods, marinades, ice cream, fruit, and much more. Seasonal Item: available during the fall, while supplies last. Mix entire carton with one gallon of apple cider, unsweetened tea, or juice. Or, mix carton with 1.5 liters of red wine. Mulling spices can also be added to baked goods, marinades, ice cream, fruit, and much more.